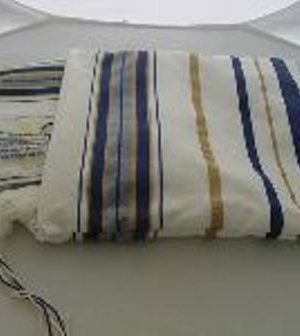 Wearing a Prayer Shawl(Talit), during prayer establishes a special connection to the Lord. 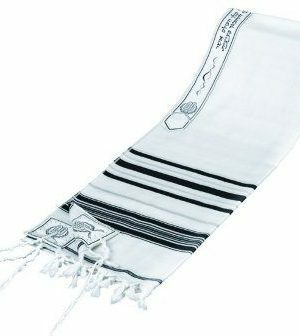 A Prayer Shawl is more than a garment. 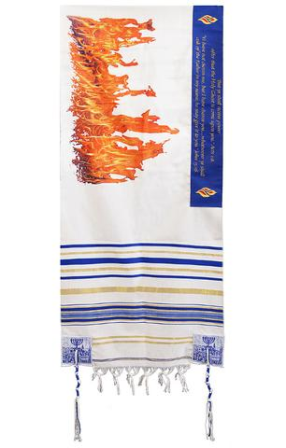 It is filled with profound meaning and religious significance. This Beni Shawl combines contemporary design with traditional craftmanship. The fabric is a rich looking,stain resistant, pure light weight brushed wool. 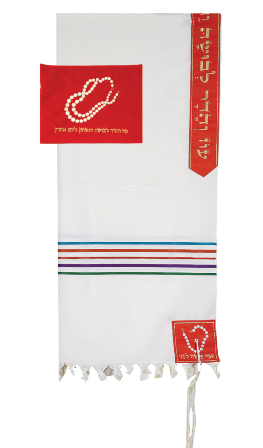 Each shawl has no fray tzitizit, and durability that lasts.These shawls are available in a wide range of sizes.They are woven in Israel. If you purchase from us you will be supporting Israel. 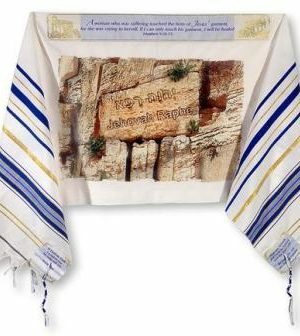 The Beni or Multi-Color Striped Taleisim (Prayer Shawl) is reminiscent of Joseph’s coat of many colors. Gen.37:3; Now Israel loved Joseph more than all his children, because he was the son of his old age: and he made him a coat of many colours. KJV. 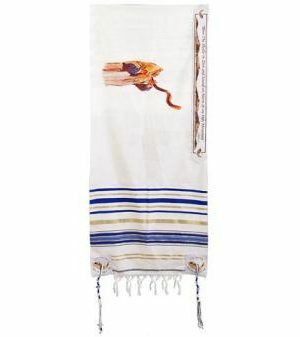 You have a choice of the shawl with the standard white tzit-tzits or for $20.00 more you can have the blue string, dyed from the rare Murex snail that comes from deep in the Mediterrian Sea. 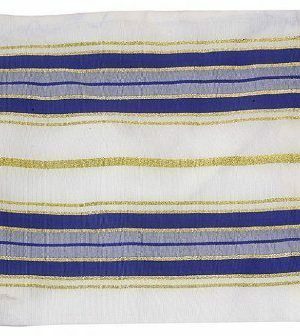 The reason we offer the Blue string in the Tzit-Tzit is for those who are seeking to have their shawl as close as possible to the instruction given the Israelites in Numbers 15:38; Speak unto the children of Israel, and bid them that they make them fringes in the borders of their garments throughout their generations, and that they put upon the fringe of the borders a ribband of blue: Ribband #3670 cord,thread,twisted.Heb./Greek concordance. You may not be familiar with this blue thread. 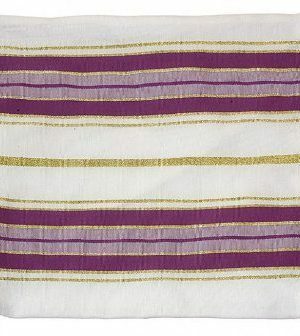 The specific dye used to make it with has been extinct since the Messiah was crucified. These particular snails, that the dye comes from, have been found to be growing again in the last 10 years. 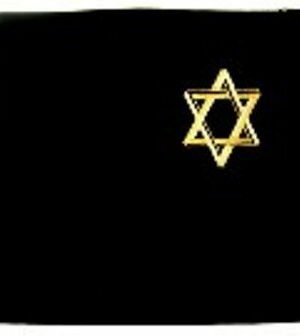 Many Orthodox Jews and Rabbi’s say this is because the Messiah is coming soon. 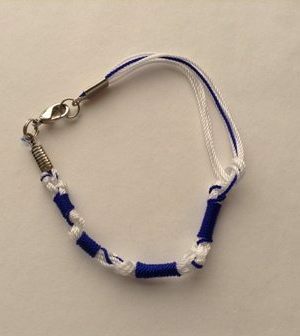 We offer a DVD for $10.00 which explains indepth about the Prayer Shawl, and this string of blue that is in each of the corner threads which are called the Tzit-Tzit. You will find the DVD.in the DVD. category section. 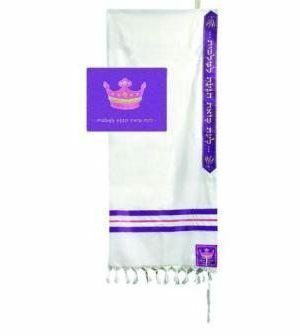 We carry most Prayer Shawls in stock and you can receive yours in 2 weeks or less. 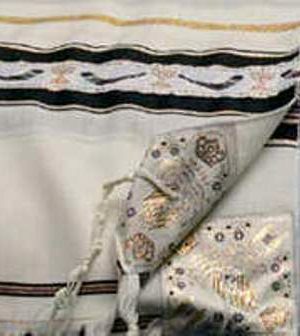 The book “Heavenly Impact” that is available on our site under the book section,contains much more information on this subject, and other biblically based adornments such as Mat-teh’s(Rod’s of God), Yemenite Shofars,Rams’s horns,Tabrets,Veils, Billow’s,Streamer’s,Flags and one of the largest most-comprehensive scripturally-based color symbolism charts available. 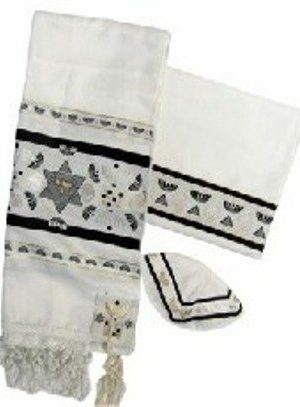 We carry most shawls in stock and you can receive yours in 2 weeks or less.